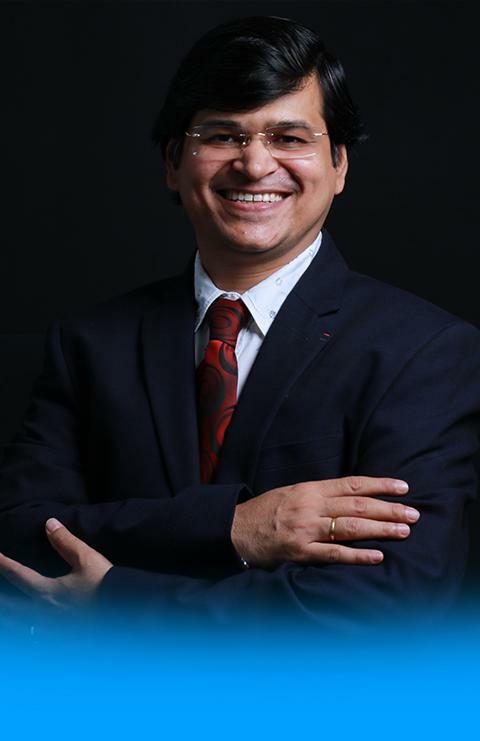 Amit Sharma is the founder Director of "BIG IDEAS HR CONSULTING PVT. LTD." Big Ideas is India’s fastest growing HR Consulting company with more than 60+ domain experts. 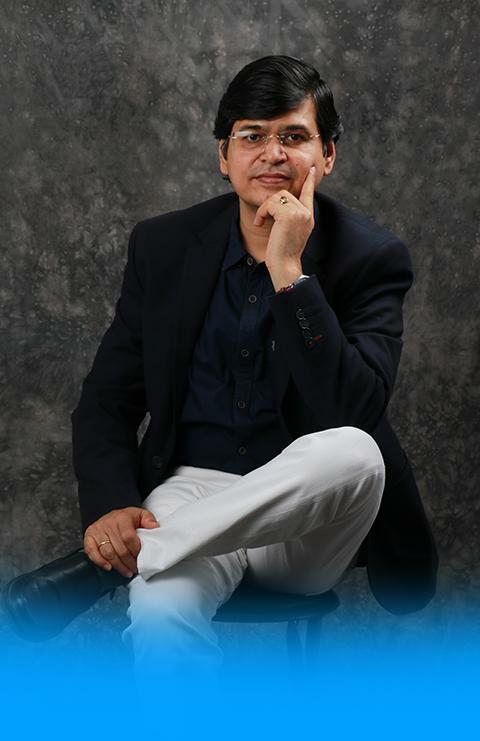 Amit Sharma is India’s Best Known Executive Search Consultant, 1st Generation Entrepreneur, Businessman & Philanthropist. He is a Post graduate in Management with more than 20+ years of experience in Recruitment & HR Consulting. He started Big Ideas with a vision to create India's No.1 sector driven report player with unique equal partnership business model. No need to run away from your past memories as some of those sweet and touching memories of your childhood were friends who had unconditional love and affection for you. Accepting your relationships unconditionally and giving everything you have unconditionally helps to be in complete peace and happiness with yourself, which is the ultimate objective of all your life goals and achievements. Thank god at least no one argues that we shall live on this planet forever. So let us live life to the fullest with acceptance as next moment one may not be there to argue about anything. Life is in this moment, here and now. If you really want to meet your good friend called life, it is right here in this moment. Do not waste your time anywhere else. Keep counting your blessings. To your surprise, the list just does not end.Do not focus too much on what you do not have but keep a focus on what you.This simple idea can give you a huge peace of mind and a fresh lease of life. Keep your motivation at the highest level always and keep receiving lots of blessings. 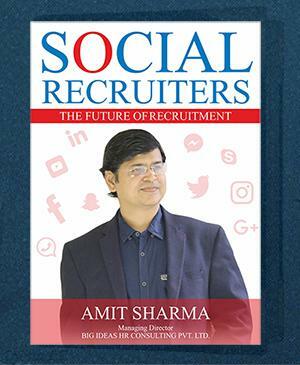 Recruitment industry leaders like Amit Sharma is solemnly have pen his thoughts on the future of recruitment. No sector is safe if the technology is not adopted at the IOT level. The process of recruitment is changing too. 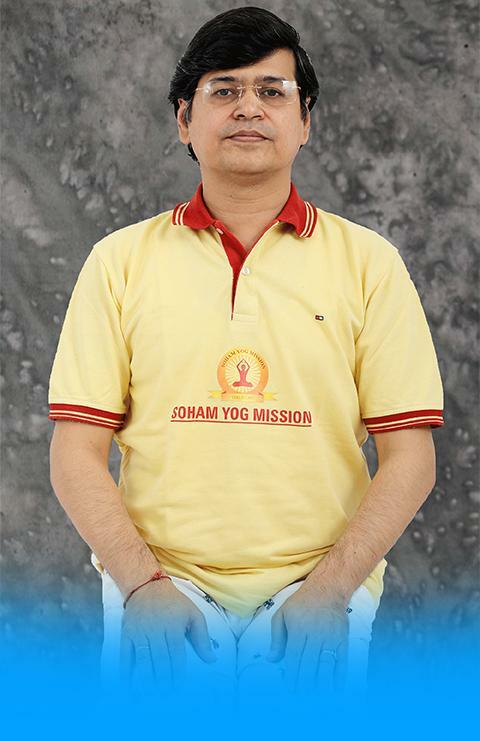 Amit Sharma is whispering his thoughts in a lucid language. The No Escape Route of Recruitment industry. I am a recruiter. I don’t call. I use ‘the only internet’ to hire candidates. 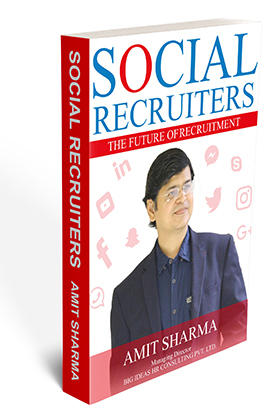 Social Recruiters is an eye-opener for all those who wants to hire people for their growing business. India is changing my friend. By 2020, traditional Recruitment Managers are going to lose their job. Online hiring is coming big way. In this brave new world, marketing spends of any company are decreasing in old school methodologies and are increasing on Digital Space. Hiring is also shifting from cold calling to online communicating with a server. 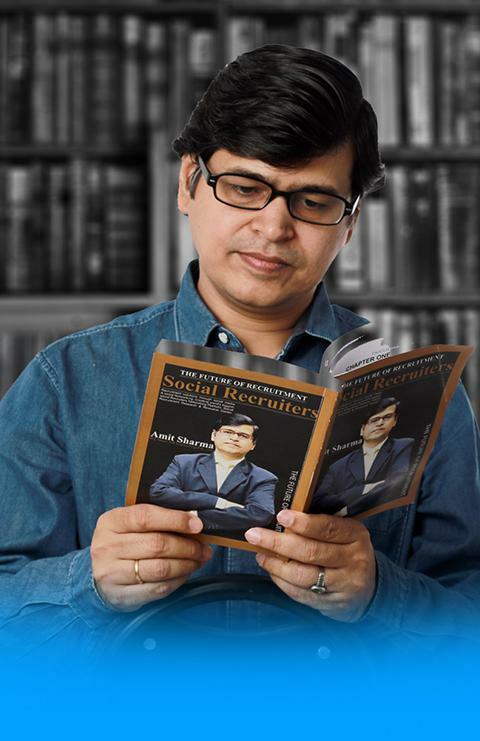 Amit Sharma had an amazing journey for last 2 decades; be it professional world, social or personal life. I wish him all luck and I pray he receives behemoth success in his life. One always wishes to have a workplace where he can fulfill his dreams as well as needs, working with Big ideas HR Consulting Pvt. Ltd. has given me both the life goals. The working atmosphere is full of positive energy. 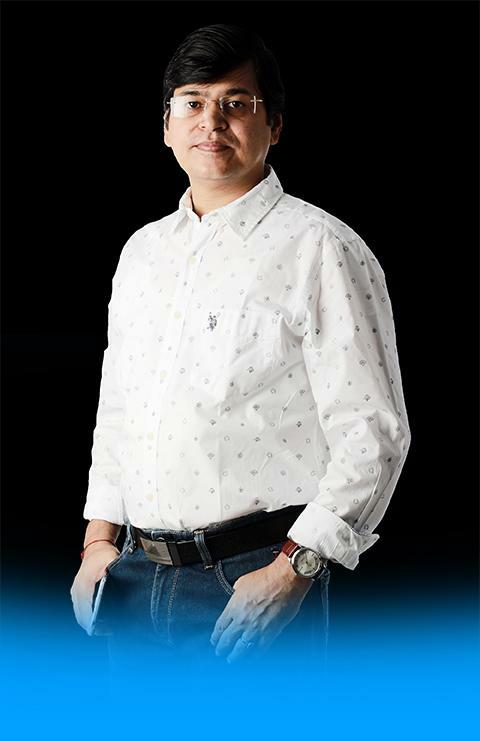 Our MD Mr. Amit Sharma always inspires us, working with their experience has given a lot of inspiration and energy. Working with such a diverse group of people has been invaluable. I feel proud that I am a part of BIG IDEAS Family. I like to work with this organization because here the environment and the way of work is very good and I will like to work here with a long-term perspective. I love Big Ideas for its Culture, professionalism and trust that every employee enjoys. I am working with Big Ideas HR Consulting Pvt. Ltd. and handling the platform of Digital Marketing. Working here is giving me exposure to new technology. The best thing I like about this place is I feel this is “THE BEST PLACE TO WORK”. I started my career as a Recruitment trainee in this organization and the best thing about this company is the environment and culture, people here are coming from diverse culture and giving a positive and motivating look in every aspect. I really enjoyed working here because I get so much knowledge and guidelines from each and every employee of this company and get a positive environment of working here. Big Ideas HR Consulting Pvt. Ltd. is truly a great organization and one of the best places to work. There is not a single day in the last 1.5 years when I have not felt like coming to office. I love Big Ideas for its Culture, professionalism and trust that every employee enjoys. The organisation has a non-political environment and transparency hence the emphasis is on 'just do a great job. Big Ideas HR Consulting Pvt. Ltd. is an extremely professional organisation providing immense opportunity to enhance one's growth and learning curve. The management has been instrumental in making their employees feel at home when it comes to the comfort of choices and functions. I owe a lot to the organisation. It’s a great place to work and gives freedom to its employees to achieve their potential and reach greater heights in their career'. I feel Proud that I am a part of Big Ideas. It has been a very good experience in Big Ideas HR Consulting Pvt Ltd and a great honour to me working with Big Ideas HR Consulting Pvt. Ltd. We learn many things together, learning how to motivate our self and our team, everyone supports for what you can do and what you want to do, sharing all your experiences and working in team leads to a very good and positive environment. I have been working with Big Ideas HR Consulting Pvt. Ltd from past 2 years. Big ideas is an extremely professional organisation providing immense opportunity to enhance one's growth and learning curve. There has not been a single day when I haven’t been motivated to come to work. Big Ideas is a great place to work and gives freedom to its employees to achieve their potential and reach greater heights in their career. Working with BIG IDEAS HR CONSULTING PVT. LTD. is great. The organisation has always offered different avenues to explore and grow along, the company is always open to listen and imbibe the ideas and opinion we share. Working with BIG IDEAS HR CONSULTING PVT.LTD. is awesome. The company provides us special training if we want to learn something new apart from our daily business and also help to grow in our field. 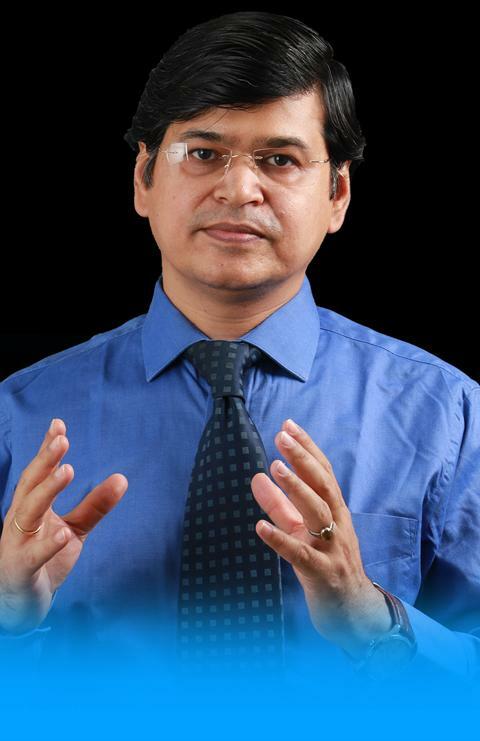 Mr. Amit Sharma is very supporting person and with his inspiration, we are able to grow in our career as well as life. So, I would like to work here with a long-term perspective. If you want to work in an organization that will support you completely in achieving your potential, develop yourself and reaches great heights then Big Ideas HR Consultancy Pvt. Ltd. is the best company for you. I have been with Big Ideas close to 3 years now. The transparent approach and culture provide me strength to give more than 100% at work. Every day here is a challenging factor & learning curve makes me more energetic and give me strength to prove my potential to the fullest. I feel fortunate to work with big Ideas because of immense knowledge to explore in the various field related to digital media. An Energetic working environment at Big Ideas with a supportive and motivational team. We have gained industry knowledge. Big Ideas gives new opportunities to make career path with varied challenging and new assignments. It is an excellent experience to learn something new and freedom to take the decision in the workplace. We work in such an exciting environment where there is a mix of fun and learning. I am very happy to work with Big Ideas. I am Proud to be part of Big Ideas, where every activity is supported with integrity, transparency and well-focused manner. Expert Advice, learning exposure and team support is always there to guide in a professional career. I have recently joined Big Ideas but the work environment is excellent and my superiors are very co-operative and supportive. Great place to work with. I am proud to be part of Big Ideas where work culture is very much excellent and superiors are very much supportive. Here I develop myself with the growth of the organization. I feel proud to be a part of Big Ideas as the company provides full support to their employees in professional front. The work environment of Big Ideas is really good. LEARN ABOUT THE FUTURE OF RECRUITMENT! Know how to recruit people! Know how to recruit people from social media!